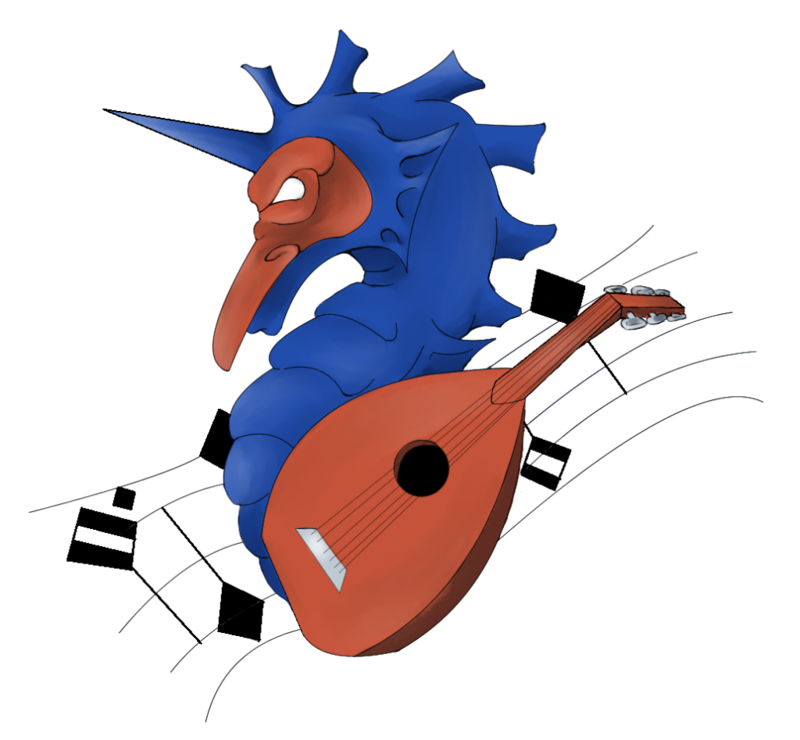 This year’s Atlantia Kingdom Arts and Sciences Festival (KASF) has a great plethora of performing arts activities for all Atlantians to enjoy! 12:00 – 2:00 — Theater Guild Class in short scripted scenes by Lord Owyn Wolf (in a separate classroom). Open Sign Ups: Performers are encouraged to sign up ahead of time for 10 minute time slots during “open sign ups for performances” when they can perform their favorite material. Please sign up for just one 10 minute time slot until February 25. After February 25, if there are still open time slots, go ahead and take a second slot if you wish. The morning hours of 10:00 – 12:00noon are set for Open Sign Ups. The half hour of 3:30 – 4:00 might need to be used for Court setup – so please be flexible if you select that time slot. Commedia dell’ Arte will be demonstrated later in the day with i Firenzi’s afternoon performance. The Oldcastle Poetry Smackdown will be run by Master Dunstan leHeryngmongere. His description of the competition is below. Please direct questions about the Oldcastle Poetry Smackdown to Master Dunstan via his directions below at the end of his text. Thank you for participating in Atlantia’s Performing Arts Community! Greetings and Well wishes unto all the Poets, Lyricists, Orators and Wordsmiths in this, the fairest of all Kingdoms, Atlantia! This year (2019) at the Kingdom Arts and Sciences Festival (assuming the autocrat lets us in) there shall once again be held THE Duke Gyrth Oldcastle Memorial Poetry Smackdown, this one being the twelfth such annual event. ‘WHAT, PRAYTELL, IS A POETRY SMACKDOWN?’ I sense you asking . . . The smackdown serves as an opportunity for poets of all experience levels to come and display their wordsmithing prowess in front of others in the spirit of good fun. This is not a competition, though each entrant shall be given a token to give to their favorite entry. And yes, occasionally some of the poets use this opportunity to . . . . make statements about each other. But that is by no means a requirement this year. Entrants are asked to write the poems beforehand (this year there are two (2) poems required) and to either show up at the KASF to read their poems or to send them along with someone to read or to send them to me (the moderator of this year’s smack down) and I shall arrange to have them read. There is an optional third poem that will be only for those who show up. The morning of the competition come find me and I will give you a verbal prompt. See #3 for a description below. 1) ENTRY POEM In honor of a great person and poet (Duke Gyrth Oldcastle) and in defiance of the many negative things happening in the SCA lately you must write a poem, in any period style, that speaks of the reason(s) why you still play in this game and dream this dream we share. 3) (OPTIONAL) THAT’S DEBATABLE- This one is only for folks who show up to the smackdown. In honor of the 500th anniversary of the debate between Martin Luther and John Eck wherein Martin famously denounces the Divine right of the Pope, I am going to give you a prompt and a note on whether or not you are ‘pro’ or ‘con’ for that prompt. Someone else unknown to you will be given the opposite side for that same prompt. You will be required to write, on site, a poem in any period style defending your stance. Then you and your oppone . . .er . . . colleague . . . will go head to head at the end of the smackdown. Any questions, concerns, or dirty limericks should be addressed directly to me, your humble moderator. On facebook you can message Keith Nealson if you have questions.